The 24th Annual Solar Turbines 5K Run at the Holiday Bowl Parade will start on the corner of Harbor Drive and Ash St. run along the Port of San Diego Holiday Bowl Parade Route and finish near Tuna Harbor Park. The event is set to start at 9:45 am. Athletes will run past 100,000 spectators. Runners, families and spectators can watch the remainder of the Port of San Diego Holiday Bowl Parade that features colorful floats, marching bands and huge inflatable characters. Awards are three deep in all divisions. Finisher medals and a colorful short sleeve tech t-shirt for ALL participants! T-shirts are available for pick up at the finish line festival area. 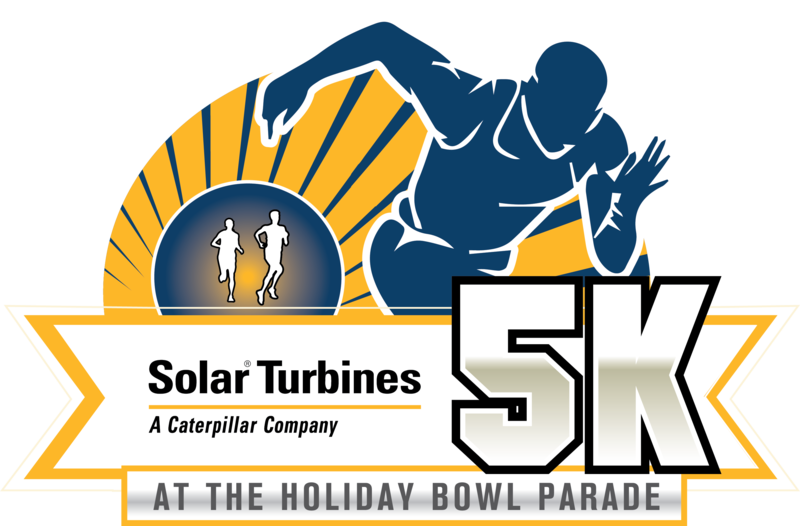 Solar Turbines is pleased to present the Solar Turbines 5K at the Holiday Bowl Parade and join our community in an event that promotes health, wellness and San Diego FUN! Kicks off Nationally Televised Port of Holiday Bowl Parade. Flat, fast scenic course along the waterfront. The OPTION to have your Bib Number mailed out to Southern California residents who register before December 9th (zip codes 90000-93000). Great post race party. Enjoy your refreshments while watching the parade go by. Party after the race! Join us for the post-race party near Tuna Harbor Park. There will be live music, and lots of extra munchies including muffins, bagels, juice, fresh fruit and much more! You can also watch the remainder of the parade that features colorful floats, bands and huge inflatable characters. Clydesdale/Athena (males 220lbs+, females 165lbs+). 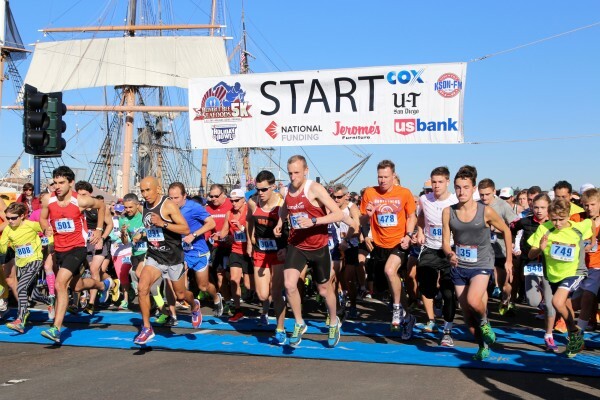 Race Day Registration: Race day registration and bib pick up starts at 8:00 am in front of the Wyndham San Diego Bayside (at the corner of Harbor Dr. & Ash St). Race day registration and bib pick up closes at 9:30 a.m.
Packet Pick Up: Race day only at 8:00 am in front of the the Wyndham San Diego Bayside. T-shirts will be given out at the finish line. We are proud to be working with the Holiday Bowl in to bring you this event.